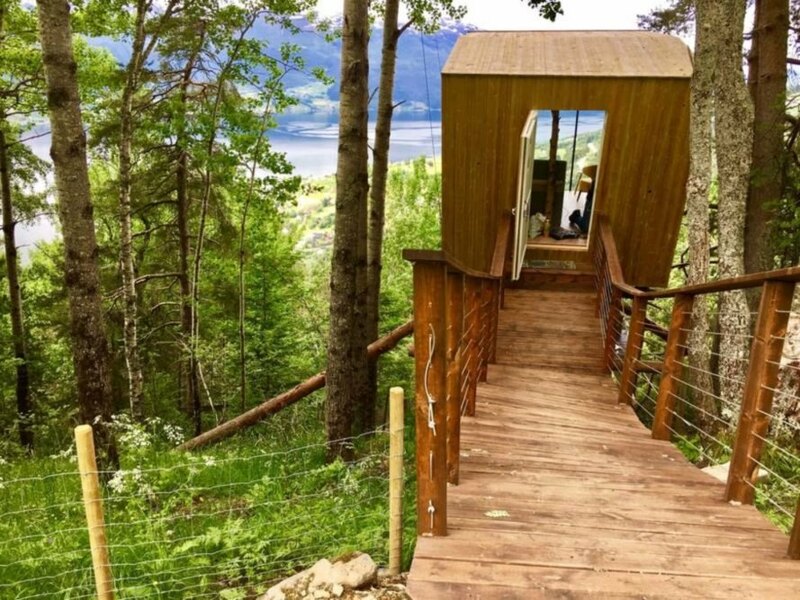 For those looking to get away from it all, Glamping Hub offers a tiny treehouse perched high above the treetops in a remote area of Norway. 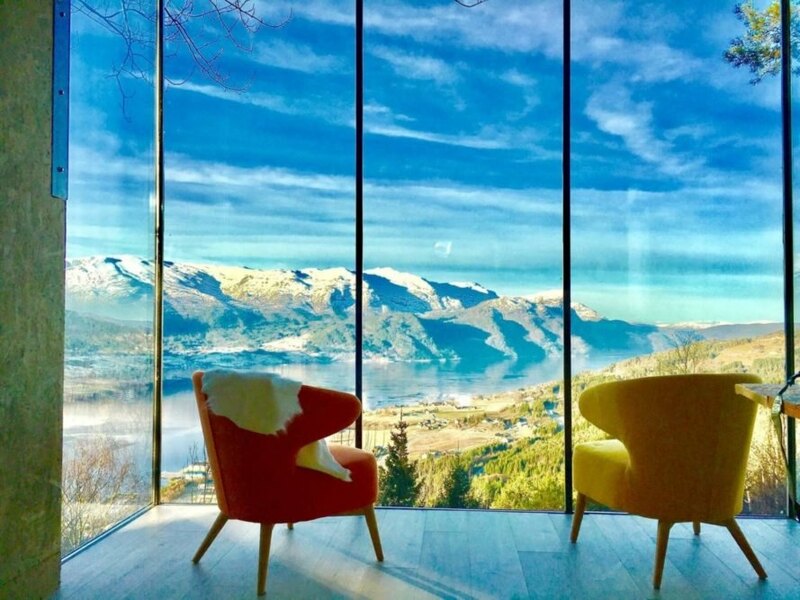 The wooden cube with an all-glass front facade allows guests to disconnect completely while taking in some seriously breathtaking panoramic views of the majestic fjords. 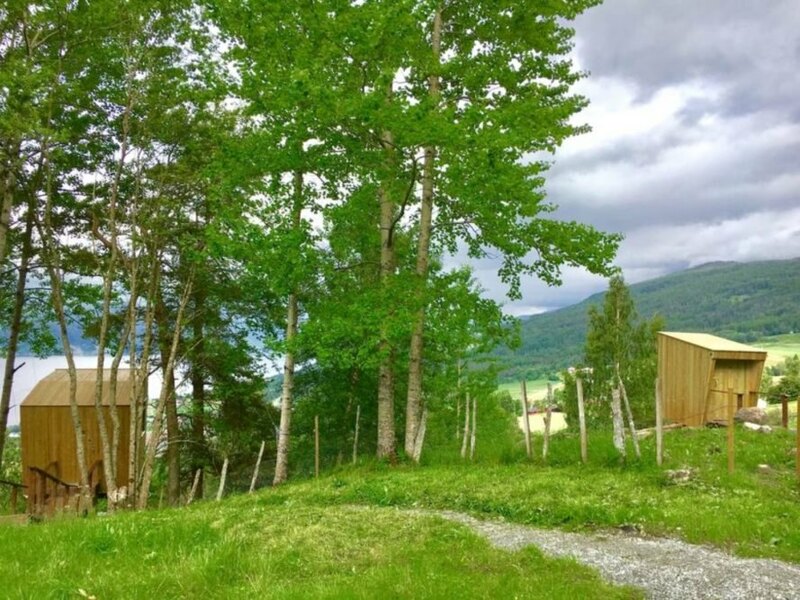 Located near Sandane, Norway, this minimalist treehouse offers the perfect retreat for those looking to escape from the hustle and bustle of daily life. The cube-like structure is perched among the treetops and surrounded by lush greenery. The environment, as well as the tiny cabin, allows guests to immerse themselves in the natural surroundings. Guests visiting the treehouse will enjoy the chic, glamping style of the lodging. There is a double bed as well as a cozy floor mattress for lounging around. For quiet reading or napping time, a comfy hammock is the ideal spot for relaxation. 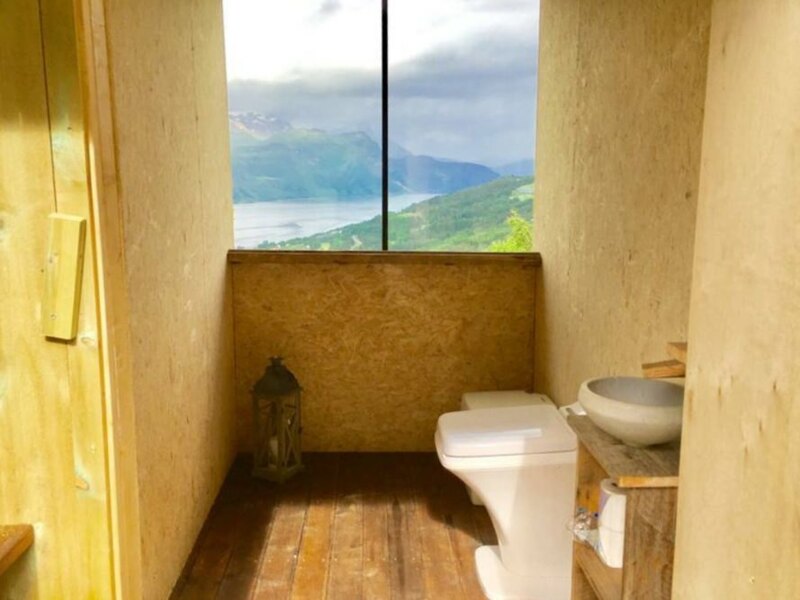 The bathroom is compact but functional with a toilet and sink. Linens, towels and toiletries are provided. There is also a small kitchenette where guests can prepare their own meals. At the heart of the tiny cabin is a seating area with two comfy armchairs and a small table. Looking out through the floor-to-ceiling glazed facade, guests can spend hours soaking up the stunning views of the fjords. For those wanting to explore a bit, there are plenty of outdoor activities available year-round in the area: hiking, biking, canoeing, bird watching and much more. Glamping Hub offers a tiny treehouse located in a remote area of Norway. 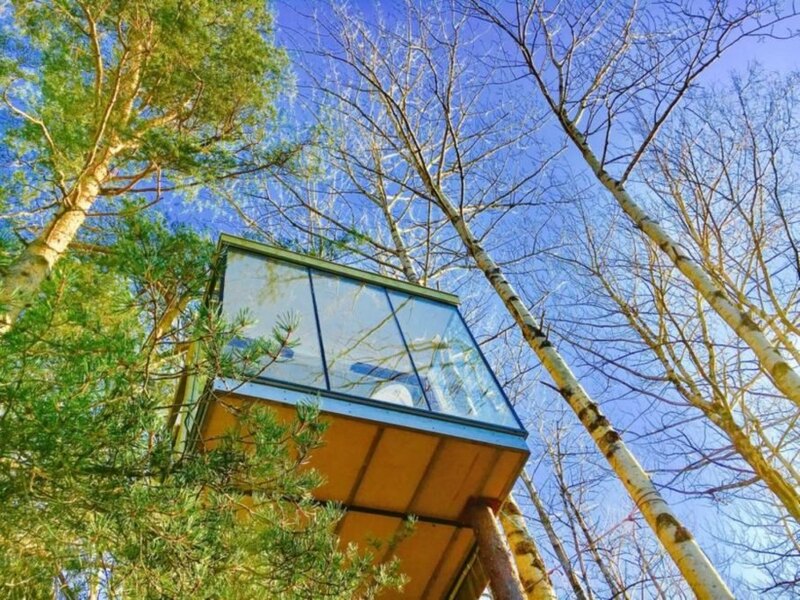 The treehouse is perched high above the tree canopy for better views. The tiny cabin is reached by stairs. An all-glass front facade allows guests to disconnect completely while taking in the panoramic views of the majestic fjords. The treehouse offers an off-grid retreat for guests. A tiny bathroom has a toilet and sink. The wooden structures are perched among the trees. The retreat is surrounded by beautiful nature. 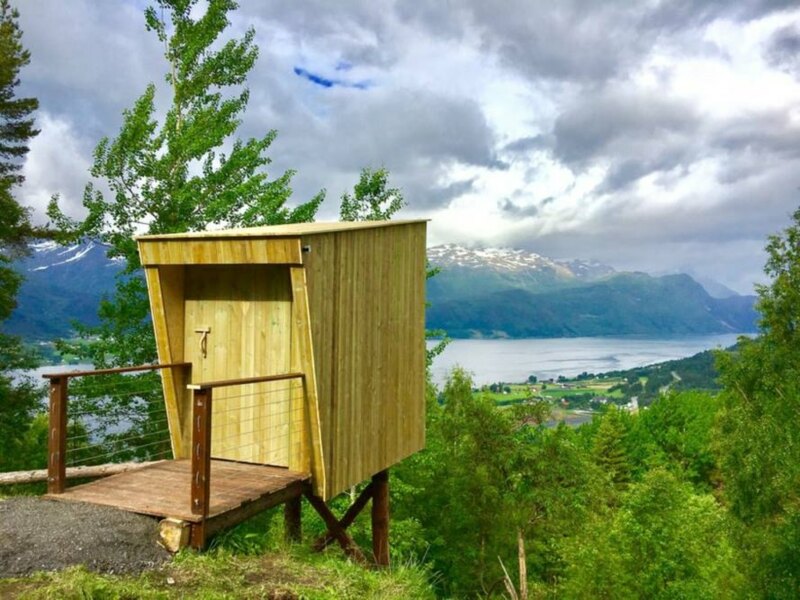 The tiny treehouse offers unmatched views of Norway's west coast.